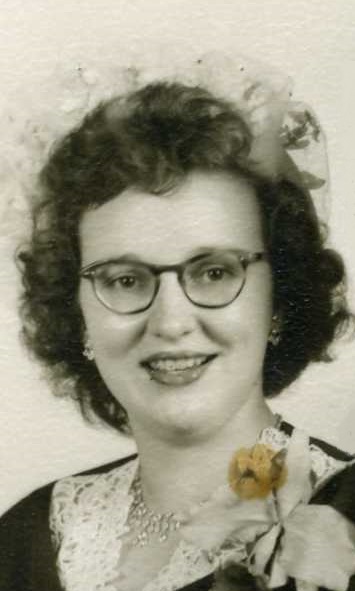 Nancy Ann Probst, 86, formerly of Strasburg, passed away Saturday, November 17, 2018 at the Masonic Village in Elizabethtown PA. She married Russell Probst Sr. on January 25th 1951, shortly before he departed for the war in Korea. They remained married until his passing on December 24th 2012. Born in Strasburg, PA she was the daughter of the late Samuel and Blanche Zimmerman. Nancy was a 1950 graduate of the Paradise Township High School. For 40 years, Nancy and Russell ran a successful gas station, garage and front end alignment business outside of Strasburg helping people and making friends along the way, while working many hours each week. Nancy ran the administrative part of the business. In the little bit of down time that they had, she enjoyed riding her motorcycle, snowmobiling, fishing, and spending time at their place in Perry County. Nancy enjoyed history, reading and anything involving nature and wildlife. She is survived by one son Clintin Probst and his wife Karen of Ephrata. She was preceded in death by two sons, Terry Neal (Ted) and Russell Jr. (Russ or Junior). Graveside services will be held at the Strasburg Mennonite Cemetery, 1514 Village Rd, Strasburg, PA at 12:00noon on Saturday December 15th. In accordance with Nancy’s philosophy, that clothing doesn’t reflect the value of the person, the family requests that dress for this service, be casual in nature. Preferably with lots of bright colors (especially red or pink). In lieu of flowers, donations should be made to the Masonic Tree of Life Fund, Administered by Masonic Villages of Pennsylvania (https://masonicvillages.org/give/), One Masonic Drive, Elizabethtown, PA 17022 | Phone: 717-367-1121. The family would like to thank the staff at LGH, Hypertension and Kidney Specialists (MD Charles Rodenberger), MD Justin Cappiello and Masonic Village, particularly in Assisted Living and Ben Franklin 2. For the quality of care, that was given to Nancy in the final year of her life. We also wish to recognize Nancy’s many friends, both at home and at Masonic Village, that helped to brighten her life. She valued each and every one of you. We wish to extend our deepest sympathies to Nancy's family over her recent passing. We enjoyed her visits to our office. She will be missed and remembered. The Orange Bowl previously had a lot of captivating storylines, yet a developing account has made the development to the College Football Playoff elimination round juicier. No. 1 Alabama is as yet a mind-boggling most loved over No. 4 Oklahoma, as the spread for the December 29 diversion sits at 14 points, per OddsShark. The music video, featuring the latest single from the fast-rising French rapper, comes one month before the legendary Pacquiao returns to fight in the U.S. for the first time in two years against the must-see attraction Broner. Golden Age . you will be remembered as an example.